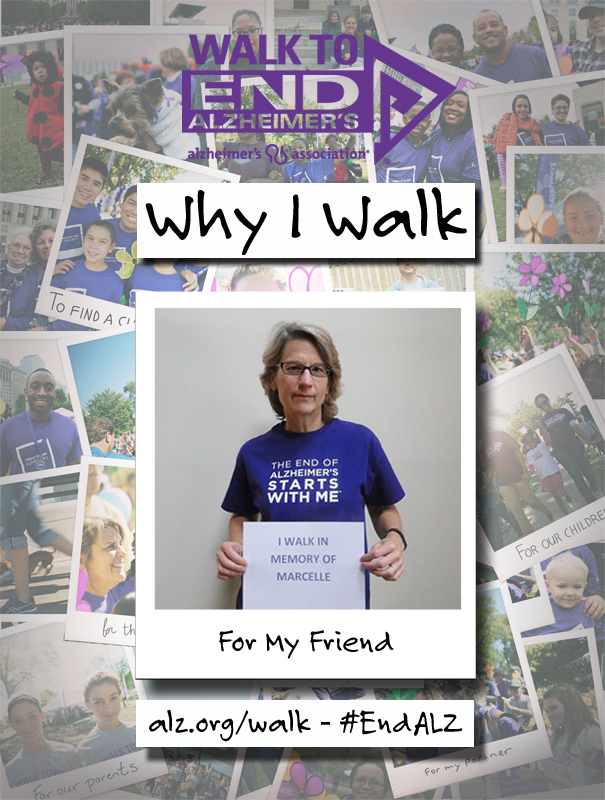 My name is Marie Kolendo and I Walk in memory of my very good friend Marcelle Cook. Marcelle was a 70-plus year old, vibrant and fun loving French Canadian, who loved traveling and spending time with her daughter and grandchildren. Four years ago Marcelle was diagnosed with Alzheimer’s and she passed away in November of 2012. While it was very difficult to see Marcelle and her family face so many challenges as the disease progressed, it was comforting that given my work with the Alzheimer’s Association I was able to help them find support groups and other programs to ease the burden to the extent possible. The 2014 Walks to End Alzheimer’s may be over, but there is still time to donate. Get involved and make a difference for the millions of Americans with Alzheimer’s disease or other dementias! My name is Allison Warrington Rothschild and I Walk for my Mom, Judy Rodgers Warrington. 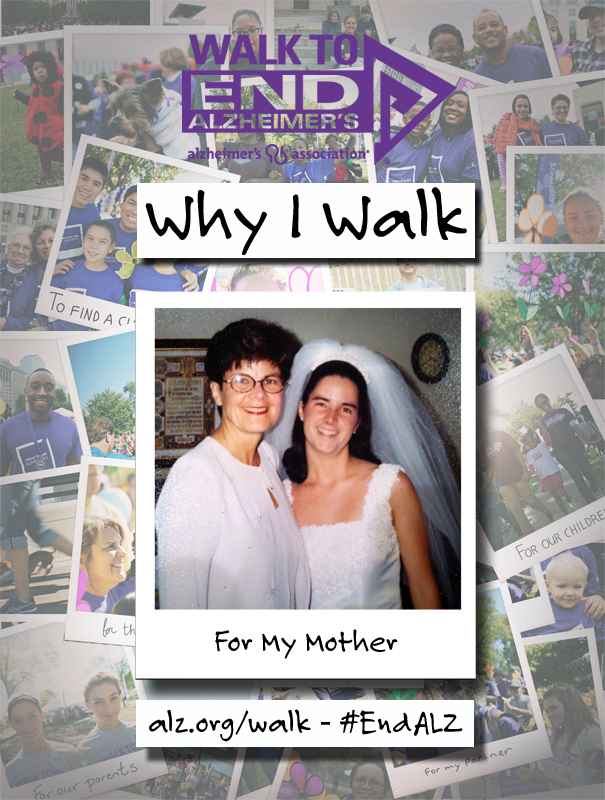 My Mom passed away from Alzheimer’s on October 9, 2013, just five days after the 2013 Walk to End Alzheimer’s. She was 68 years young. She was diagnosed at 65 and had symptoms for five years and she left behind her loving husband, my Dad, after almost 46 years of marriage. They had a fairy tale love story. She also left my brother and me and two amazing grandchildren who were only 5 and 2 when she died. It has been a difficult year, but this year’s Walk will be filled with all of the memories I have of her tremendous life. This year’s Walk was dedicated to my Mom, and I Walked with my team from VCU, Rams for Memory. The Walks to End Alzheimer’s may be over, but there is still time to donate. Get involved and make a difference for the millions of Americans with Alzheimer’s disease or other dementias!